the American Dream all revolving around one explosive night at a fast food joint. Confused and frustrated by his rejection from the US Marines, 19-year-old Dylan clashes with his older sister, Rose. Meanwhile, driven by guilt and loneliness, 43-year-old fast food worker Celine tries in vain to convince her far-away son that she’s becoming successful in America. 21-year-old Sean grapples with his aimlessness, turning to the comforts of drugs and alcohol. Unbeknownst to them, these four lives will soon come together in a violent clash at the Sunny Meals drive-thru when Sean’s drug-bender takes a sinister turn, forever changing the trajectories of their lives, their careers, and their relationships. 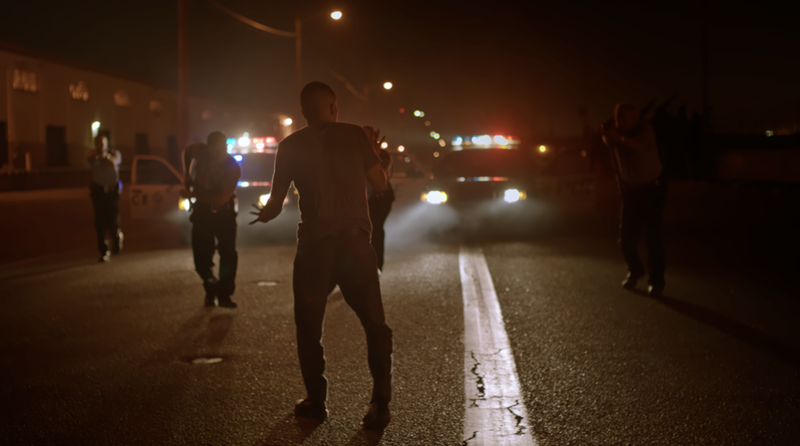 The film explores the desires for control, identity and family, as we intimately follow these characters during the day leading up to the incident. Doan will next be seen starring in Cinemax’s upcoming series “Warrior,” premiering in the spring of 2019. The show, co-created by Jonathan Tropper (Banshee) and Shannon Lee, is a period piece led by British actor Andrew Koji, and is inspired by the writings and work of Bruce Lee. It is a period crime drama set against the backdrop of the brutal Tong Wars in San Francisco’s Chinatown in the late 1800s. Doan’s past film and television credits consists of the critically acclaimed History Channel series “Vikings, the Disney Channel Original Movie “Descendants” which garnered more than 12 million total viewers, ABC’s “Once Upon A Time,” TV Land’s “Impastor,” and Cartoon Network’s “Tower Prep.” On the film front, credits include the short film “When I Saw You,” and indie film “Last Night in Suburbia.” Aside from acting, Doan also has a background in dance and was a professional contemporary dancer early on in her career. Born and raised in Abbotsford, British Columbia, Doan currently splits her time between Vancouver and Los Angeles. Angela was born and raised in the heart of Texas with family roots in Taiwan and China. 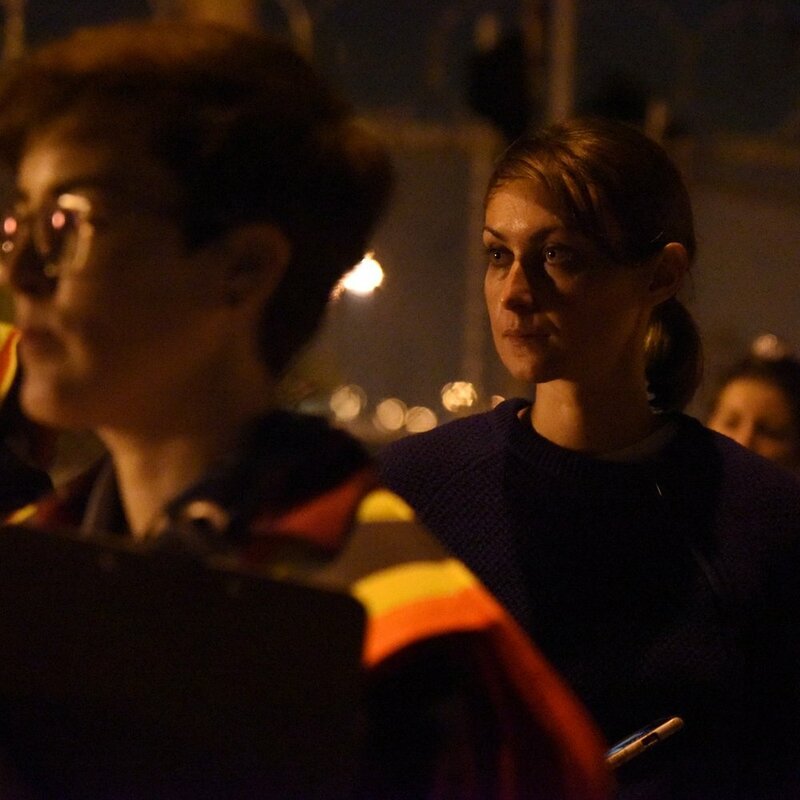 She studied Film at the University of Texas at Austin and is a current Directing Fellow at the American Film Institute Conservatory in Los Angeles. Angela’s films have won numerous awards and premiered at the Tribeca Film Festival, SXSW, Austin Film Festival, and more. Brandon Soo Hoo (born November 2, 1995) is an Asian American actor, known for playing Tran in the 2008 film Tropic Thunder and for his series regular role on the Cartoon Network sketch comedy series Incredible Crew. 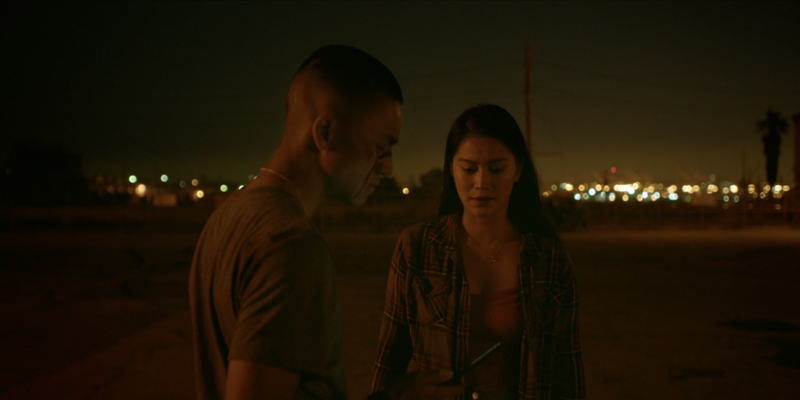 Soo Hoo also plays Scott Fuller on the El Rey Network horror-drama series From Dusk till Dawn: The Series, based on the film of the same name from Director Robert Rodriguez. Brandon currently resides in Los Angeles, where he continues to build his acting career, as well as his training in martial arts. Nick has also had time to fit in starring in several recently released feature films: Ostrichland, The Turner Risk, "Ghost Squad" and "Trace" and keep an eye out for Nick in the upcoming indie flick, “Loserville” and as the lead in the independent film, “The Great and The Small”,which has been garnering acclaim on the festival circuit”. Born in Tokyo, Yumiko moved to Johannesburg at the young age of two, to Mexico City at nine, to Rome at 15, to New York at 18. She is a graduate of Sarah Lawrence College, where she received a Bachelor of Liberal Arts with concentrations in Screenwriting and Visual Arts. Much of her work revolves around tranquil and still qualities that are often unseen, drowned out in bustling urban environments. 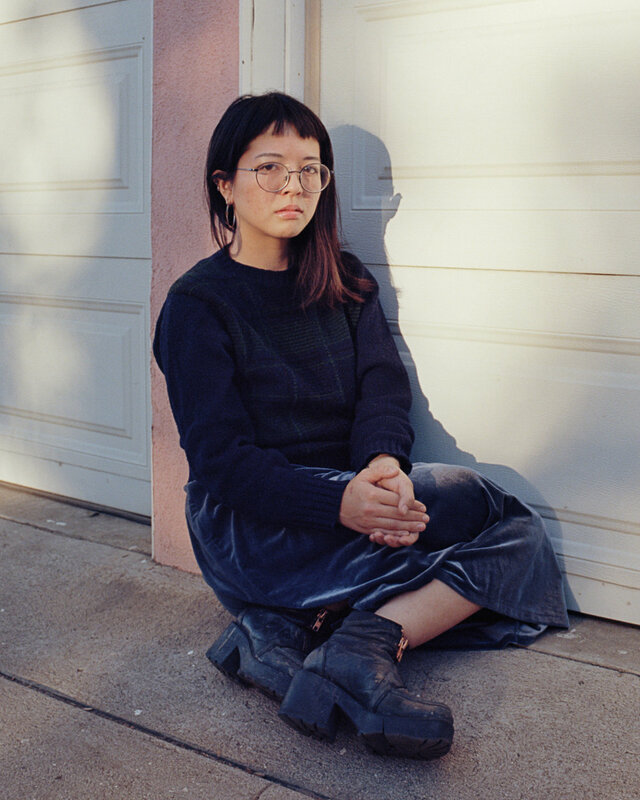 Yumiko is currently pursuing an MFA in screenwriting at the AFI Conservatory. Professionally, she has written for a variety of formats in the film medium, including music videos, art videos, short films, pilots and promotional web films. From Russia, Elena Aksenova is a graduate of UCLA, where she studied Film Producing and Business and Management of Entertainment. She has produced near a dozen short films that have played at film festivals throughout the world and won numerous awards. Elena is currently producing a biographical feature film based on Daniel Johnston's life, a legendary American singer-songwriter, musician, and visual artist. Ben Tolentino is a Filipino editor who attended the Berlinale Talent Campus with the support of the Berlin International Film Festival. He's edited features that have premiered in festivals such as Festival de Cannes (Death March, Official Selection 2013), Venice Film Festival (Blanka, La Biennale di Venezia 2015), and also edited Transit, the 2014 Academy Awards Foreign Language entry of the Philippines. He edited his first feature back in 2011 and has since won multiple awards in the Philippines and abroad. A UCLA alumnus, who recently completed her master degree in producing at AFI Conservatory. Summer served as a consultant for the Amazon Studios series Bosch as well as feature development at Blumhouse Productions. Summer has produced American Advertising Award winning commercials, TV series, independent features and numerous shorts. Currently, she’s funding a non-profit dedicated to empowering young minority filmmakers. Sebastian Sarinana is from Mexico City and graduated from Universidad Iberoamericana with a BA in Communication Sciences and a minor in Film. He attended the Vancouver Film School for film production. As a Director, Sebastian worked with major advertising production companies directing big-budget commercials for the likes of Coca Cola, CEMEX and the Mexican Armed Navy. He produced and directed multiple music videos for Warner Music and wrote, produced and directed three short films with his production company, Lahouse Films. Sebastian moved back to Los Angeles to pursue an MFA in Screenwriting at the American Film Institute Conservatory. Born in Warsaw, Poland. Michał studied at Warsaw Film School, where he had a chance to study under great Polish cinematographers, Andrzej Jaroszewicz, Adam Bajerski and Arkadiusz Tomiak. Before coming to USA to study cinematography at AFI, Michał shot numerous music videos and short film. One of them, “Toast” premiered at Palm Springs Film Festival, and screened on the biggest polish film festivals, including Gdynia Film Festival. Hanan Townshend is an acclaimed film composer based in Seattle, Washington from New Zealand. Townshend has composed music for some of the most iconic films and commercials of the last 10 years, including frequent collaborations with Palme d’Or winning director Terrence Malick and three time Oscar-winning DP/director Emmanuel “Chivo” Lubezki. He has scored over a dozen feature films starring some of the most established names in Hollywood. He has also written music for numerous domestic and international commercials for companies such as Apple, Volvo, Google and American Express. Poster Design by BLOOD SWEAT + POLONY///|\\\ Check out the story to their process here. Director Angela Chen preps a fight scene with Actors Nick Fink and Brandon Soo Hoo with B CAM Op Marcin Banasiak and Stunt Coordinator John Branagan. Costumer Morgan DeGroff preps Actor Anthony Quinn Williams. 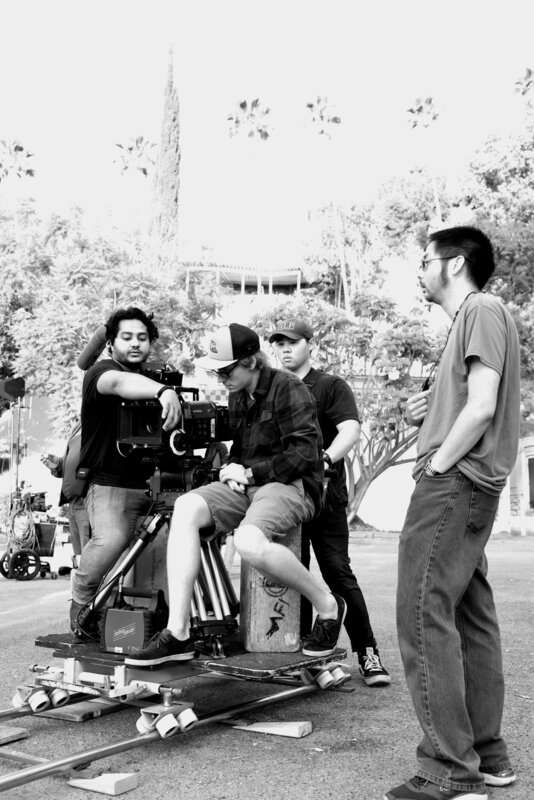 1st AC Sam Chatterjee sets focus for a dolly shot with DP Michal Wronski and 1st AD Kevin Huie. 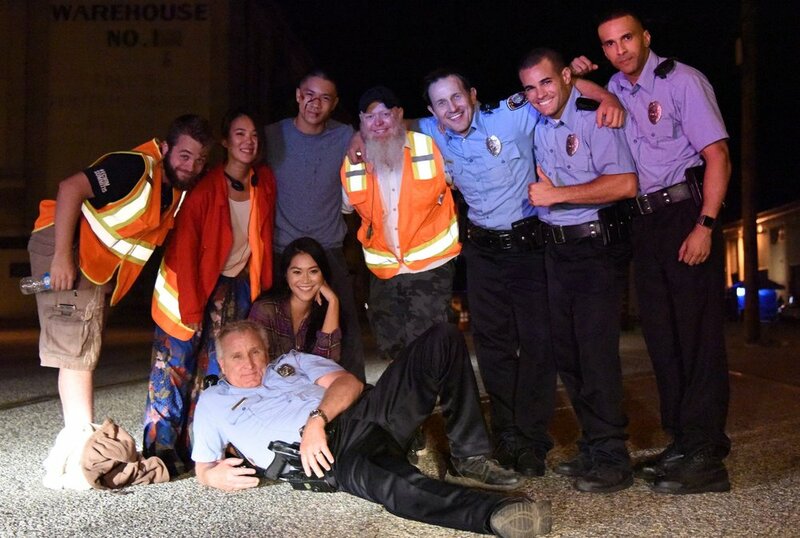 Production Designer Jake Vollmer, Director Angela Chen, and Stunt Coordinator John Branagan pose with the Actors and Stunt Performers. A CAM Operator Ayinde Anderson with Actor Nick Fink and 1st AD Will Lambe and Director Angela Chen. Director Angela Chen rehearse the altercation scene with actors Dianne Doan and Brandon Soo Hoo. B CAM Operator Marcin Banasiak sets up a shot with Key Grip Shannon Connally, Gaffer Lukasz Dziedzic and DP Michal Wronski. Dylan and Rose in Our Home Here. Co-Producer David Starks and UPM Daphne Teng goes over the shoot day. Director Angela Chen sets up the house party scene at 4AM. Stunt Coordinator John Branagan rehearses a pivotal scene with stunt performer Trevor Morgan. 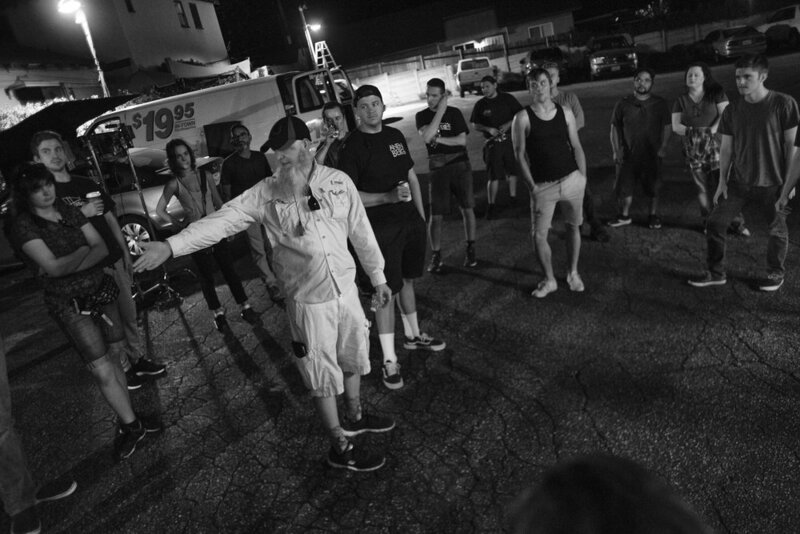 1st AD Will Lambe holds a safety meeting before a stunt and driving scene. Director Angela Chen and DP Michal Wronski checks frame before a take. 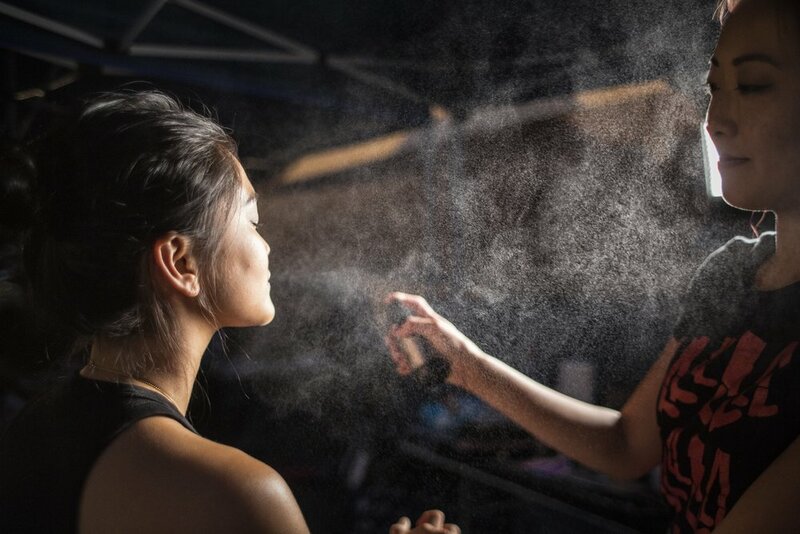 Costumer Mariam Sabha and Make-up Artist Christina Yu touches up Raquenel in between takes. BTS Stills by Photographers: Stacy A. Cain, Alexis Evelyn, and Chris Schwartz. Brandon Soo Hoo and Dianne Doan as siblings Dylan and Rose. Boom Op Matt Daugherty mics up Actor Octavio Pizano. DP Michal Wronski measures the light for a scene. Director Angela Chen works with Raquenel who plays Celine. Actor Brandon Soo Hoo sneaks behind the monitors to watch playback. Director Angela Chen with Actress Raquenel and Costumer Mariam Sabha and Steadicam Operator Brennan Maxwell preps for the first shot of the day. 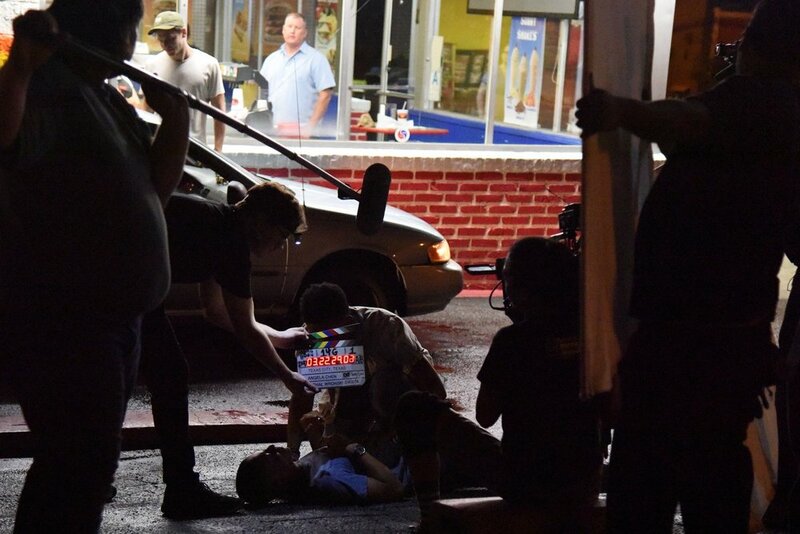 Steadicam Operator Brennan Maxwell and Boom Opertor Matt Daugherty tracks with actor Brandon Soo Hoo. Actors Nick Fink, Brandon Soo Hoo and Willie Huggins IV bond in between takes. The American Film Institute is a Government recognized 501(c)(3) Non-Profit Organization, and holds tax exempt status. Donations made toward OUR HOME HERE may be tax deductible under Section 170 of the U.S. Tax Code. A letter of acknowledgement from AFI will be sent for all contributions. Many companies in the US and abroad will match donations made by their employees to non-profit charitable institutions. This can DOUBLE your donation! Your Human Resources Department will be able to inform you if your employer offers this benefit. Please contact us for any additional help or information if your company matches grants. Visit: http://my.afi.com/dev/contribute2.aspx?don=164 or click the DONATE button just above. 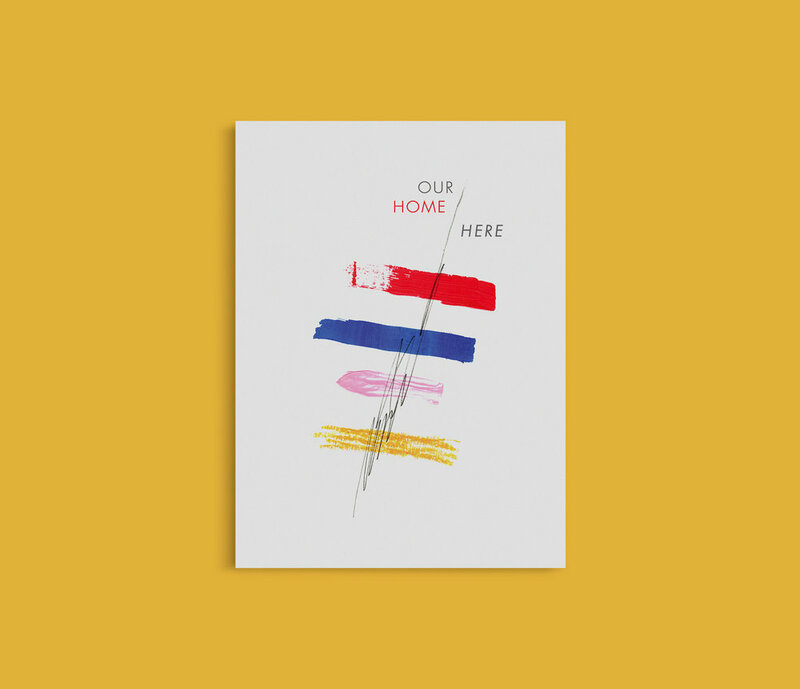 Make sure “1829- OUR HOME HERE ” is selected in the dropdown menu. Fill out your information & donation amount. Please contact us for other ways to donate! Make check payable to "American Film Institute." Note "Our Home Here #1829" in the check memo.